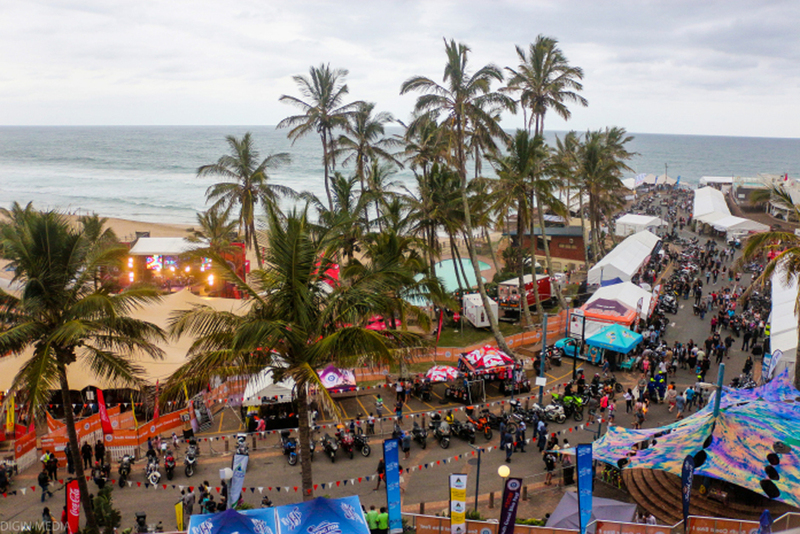 South Africa’s biggest motorcycle and music festival will return to the warm shores of Margate on the KwaZulu-Natal South Coast, where extreme action, fantastic food and quality musical entertainment will converge in a weekend of family fun. 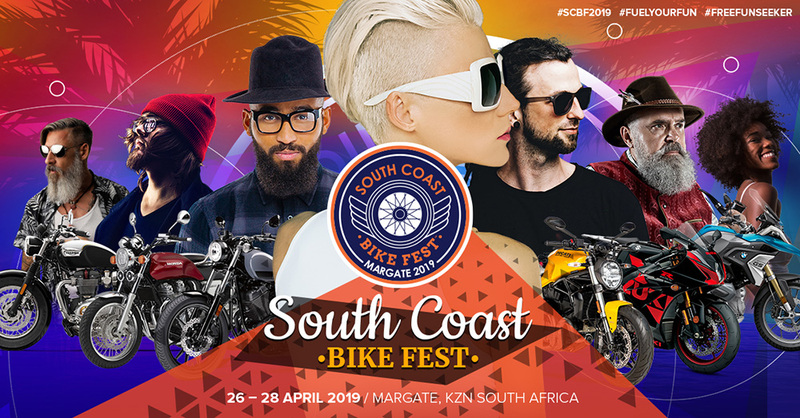 The South Coast Bike Fest™ (#SCBF19) – which is presented by Ugu South Coast Tourism with endorsement and support from Ray Nkonyeni Municipality; Ugu District, the Department of Economic Development, Tourism and Environmental Affairs; and Tourism KwaZulu-Natal – will run from 26 to 28 April and tickets are now available! 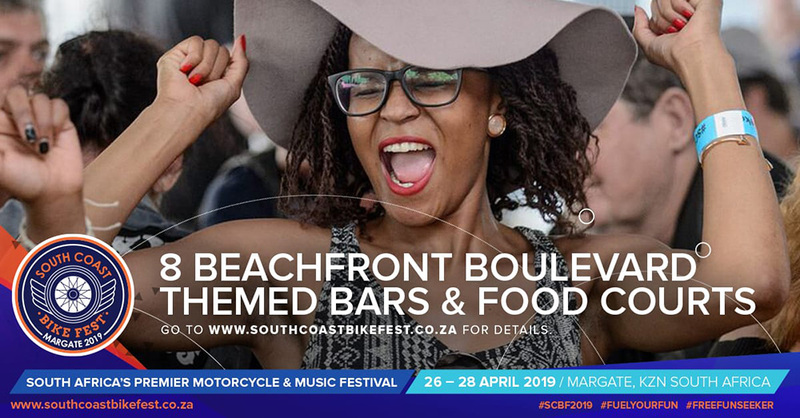 When it comes to biking, the South Coast Bike Fest™ has it all! 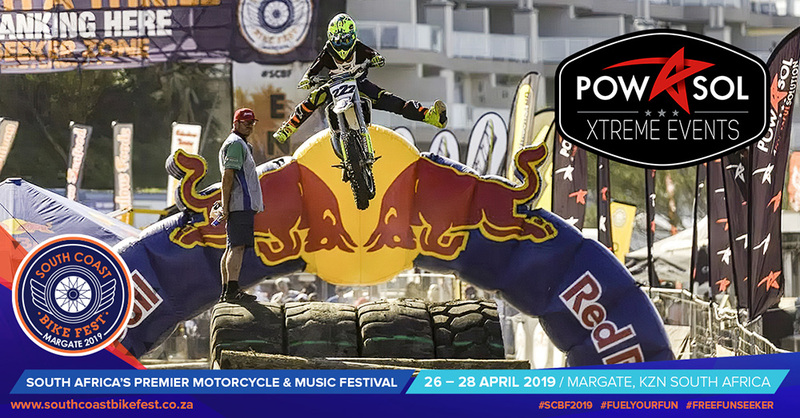 The Full Throttle Staging Arena will see some of the most extreme biking stunts and demonstrations by South Africa’s most daring riders. 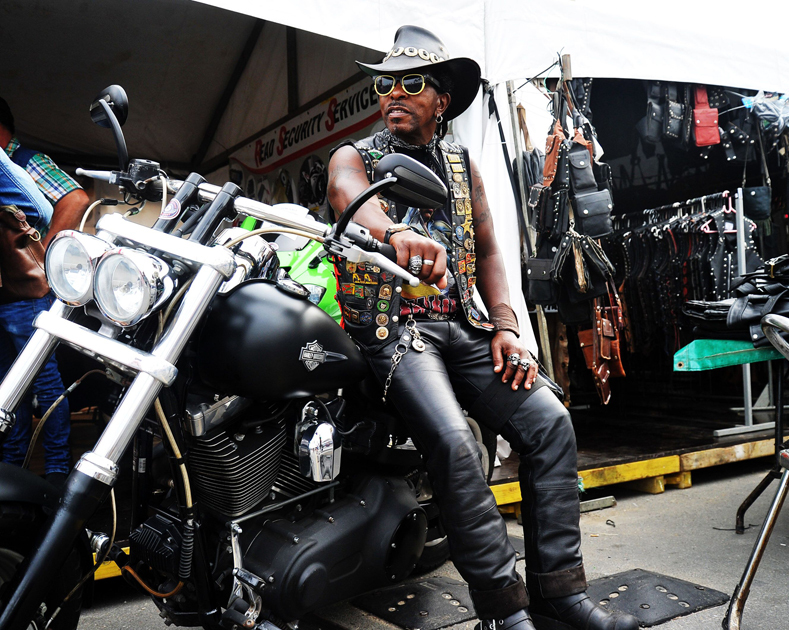 While those looking for the best in bikes and biking accessories, there are the Corporate Motorcycle Dealership Expo Decks, Classic Bike Club Show Deck and Bike Repair Workshop & Pre-owned Sales Deck. Showcasing the biking community spirit will be a number of outrides and outreach projects including The Mass Ride and The Soweto School of Riding. 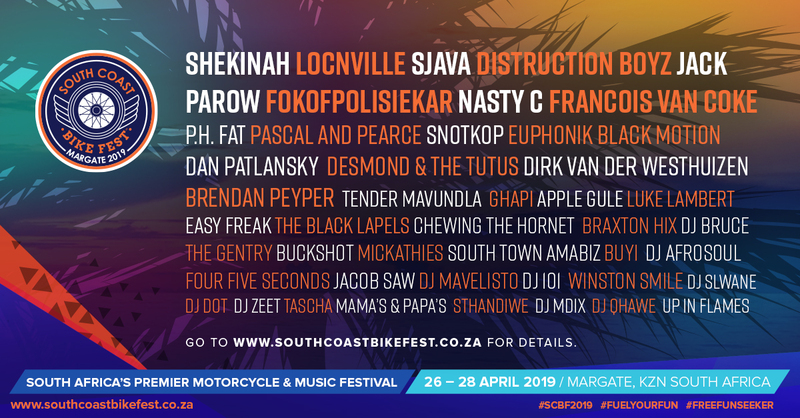 The South Coast Bike Fest™ has become synonymous with top-notch South African musical acts and 2019 is no different! 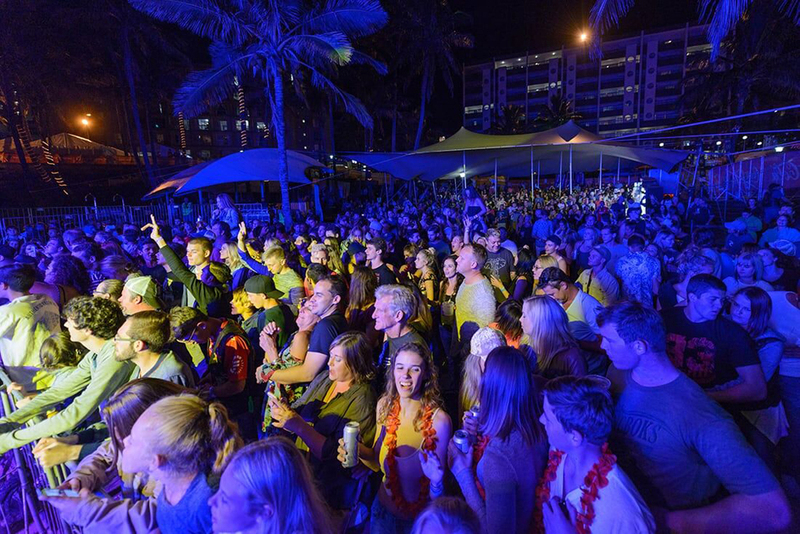 You will get the chance to enjoy a range of musical options at one of the many festival stages, including the Budweiser Beach Stage, Village Pier Rock Stage, Sunset Beach Party and the Flying Fish Seafood & Wine Jazz Deck. Those looking for a little retail therapy will find what they need in the Village Market Square Trading complete with a range of incredible stalls featuring only quality crafts, clothing, gifts, and much more. The South Coast also has a variety of cultural and heritage sites, as well as outdoor adventure and leisure activities. Those with a #SCBF19 festival pin can get a discount on Best Helicopter Flips from St Mikes. The festival destination is the perfect day-trip from Joburg – under 700km – on safe biking roads. 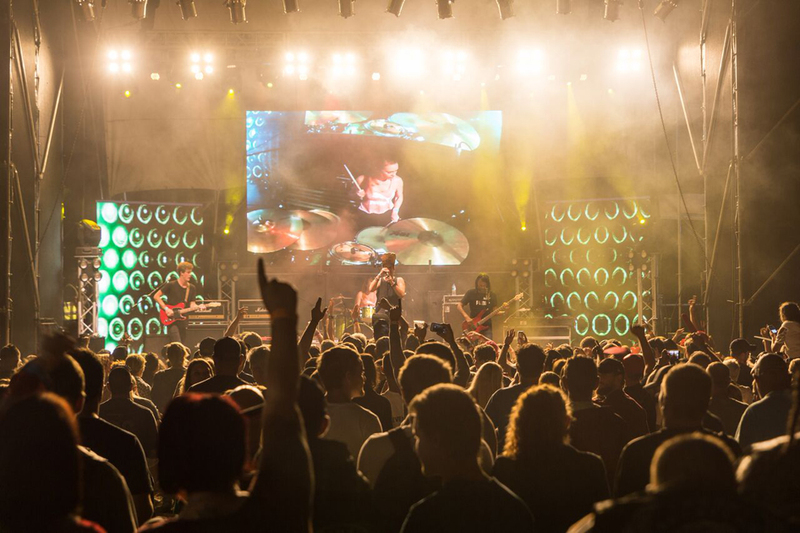 Many of the biking community stay over in the Midlands as a way to break the trip, and there are a number of accommodation venues close to the festival precinct. Simply email: [email protected] indicating your preferences, the number of friends and family joining, and accommodation will be sourced! 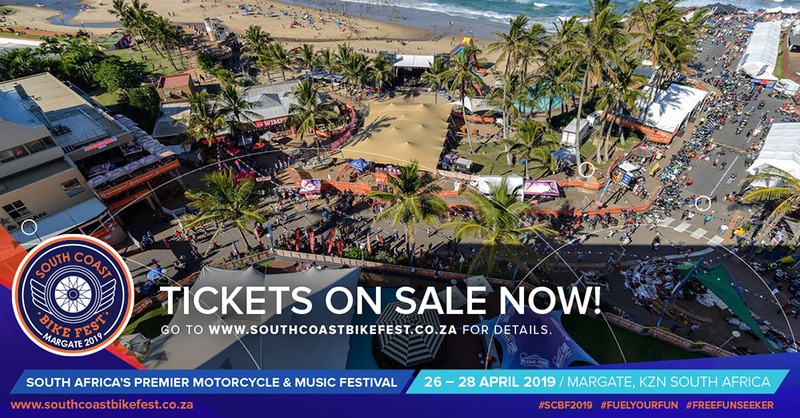 Bikers and pillions wanting to access any of the bars or stages (Budweiser Beach Stage, Village Pier Rock Stage, Mid Beach Stage, Full Throttle Entertainment Zone, Reggae Bar and Jazz Bar) must pre-register online (www.southcoastbikefest.co.za) and purchase a South Coast Bike Fest 2019 pin for R35. Bikers and pillions will need to purchase a pin each. 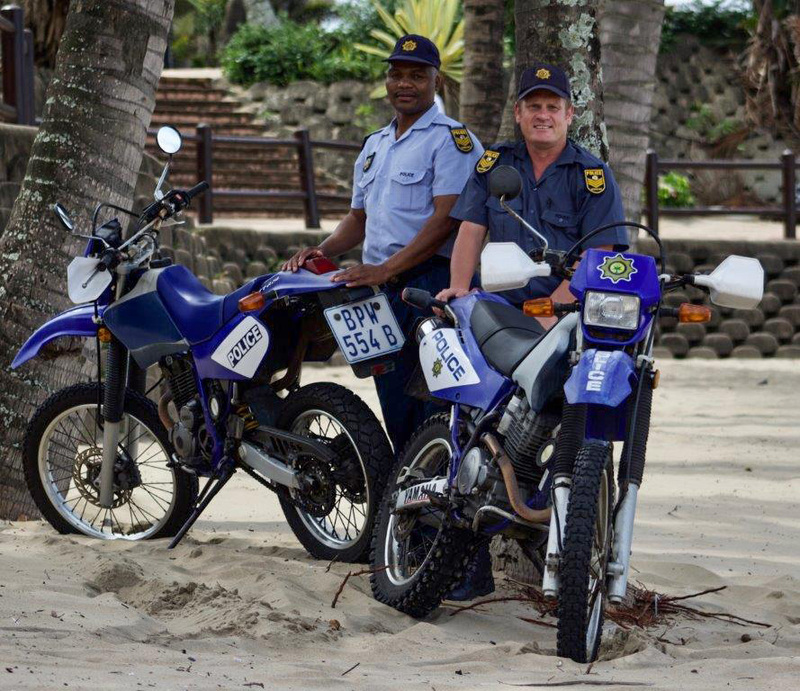 Bikers must be accompanied by their pillion to collect the pre-purchased pin at the Sasol Garage, Margate – bike licences must be shown.